This month, Birchbox are championing the importance of me time and the art of self-care by curating a box of beauty bits perfect for when you want to relax and de-stress. 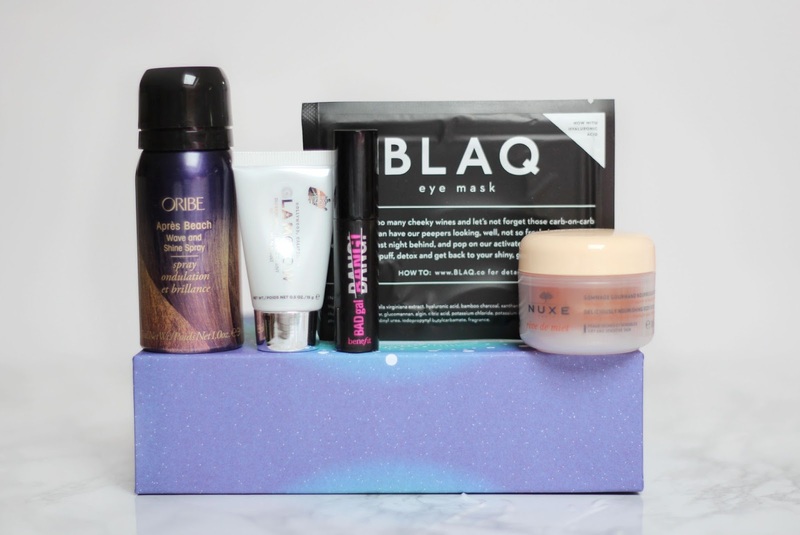 I think this box is one of my all time favourites from Birchbox, there is such a mix of brilliant brands and products I've wanted to try. After seeing such a hype around the new Benefit mascara, I was so excited to receive a sample version in this month's box. The consistency of this is quite wet, the brush works really well to separate the lashes which makes the lashes look really nice, you do have to be quite careful not to apply too much product as it can get clumpy if there is too much product on the brush. I've used a Glamglow mask before and loved it for clearing my pores so I was really excited to receive this in the box. This is a great weekly mask which draws out impurities and unclogs my pores! 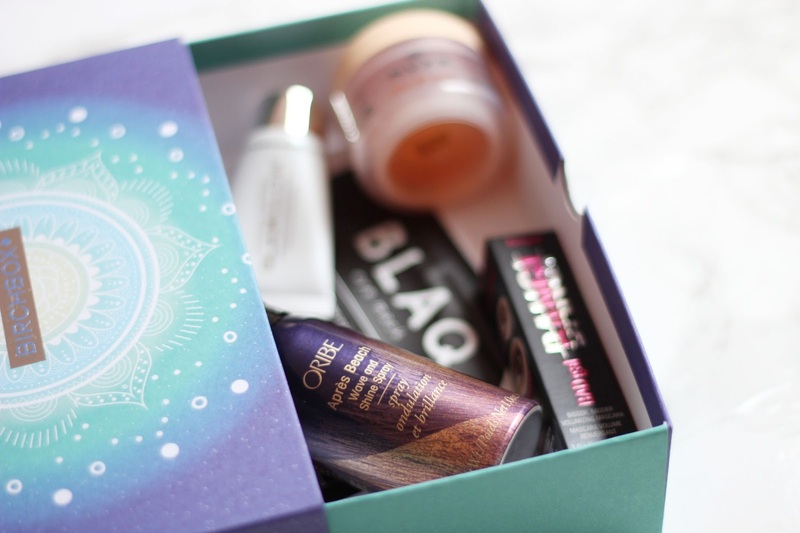 I love receiving Oribe products in my Birchbox as the full size items are pretty pricey! This Beach and Shine Spray helps to create tousled and textured hair in very little time, it's super easy to use on dry or wet hair! I always prefer my hair to look slightly textured so this kind of product is always super handy!